Equipd 3.0 has been approved by Apple. It has been many months in the making, and is finally ready to release to my patient users. Equipd 3.0 is a total rethink of the Equipd interface and functionality with a new workflow, improved screen layouts, many new features, and much more content! I anticipate that users will go through a "break-in" period as they get used to the new workflow and learn to make the most of the gestures and tricks to streamline your navigation around Equipd. But I am confident that once you get used to it, you will enjoy the extra power and flexibility that the new interface offers. Note: The screenshots below are from earlier beta versions of Equipd 3.0, and in some cases are slightly different in the final release. I will update them when I get a chance. Let's clear this up first. Equipd 3.0 requires iOS 7.0 or above. It will not install on devices running iOS 5 or 6. I had already dropped iOS 5.X for this version, but after performing a recent user survey, I decided it is time to move on from iOS 6.X and focus my efforts solely on iOS 7+. The reality is that all iOS devices powerful enough to run Equipd 3.0 can install iOS 7. So ... what exactly is new in Equipd 3.0? Pretty much every aspect of Equipd has been re-thought and redesigned. 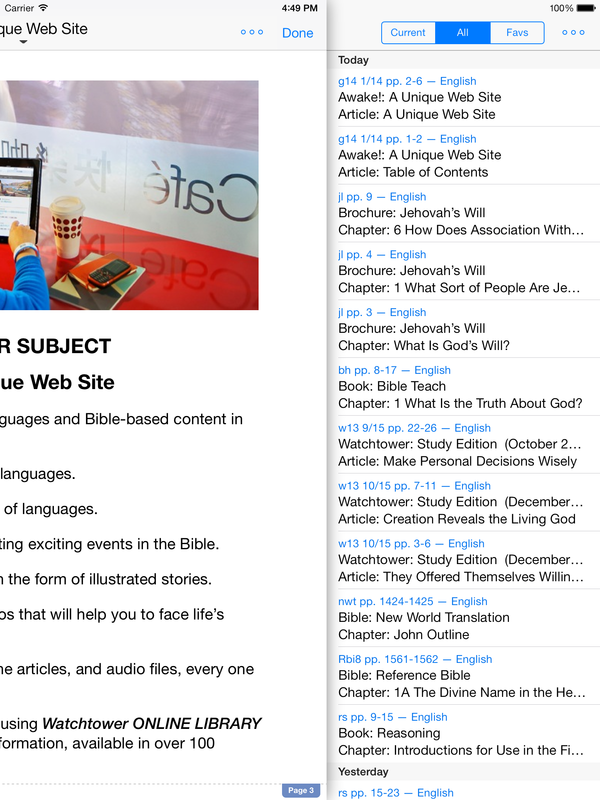 Equipd 3.0 focusses on making it easier to cache, navigate, and work with the plethora of publications on WOL - focussing on a clean workflow jumping between the Bible and the publication you are studying. It features a completely different UI - bringing in much of the design guidelines from iOS 7 with a focus on getting hierarchical elements out of the way, and bringing content to the foreground. 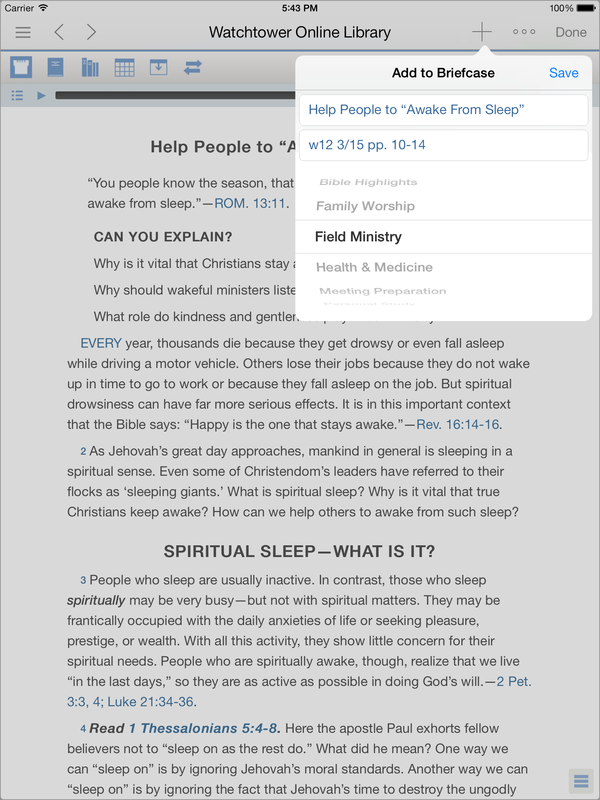 Some of the exciting enhancements include full-screen publication windows, the introduction of the Watchtower and Awake! magazines to Equipd, the Research Guide, the complete NWT 2013 including the great content in the Introduction and Appendices, and much more. 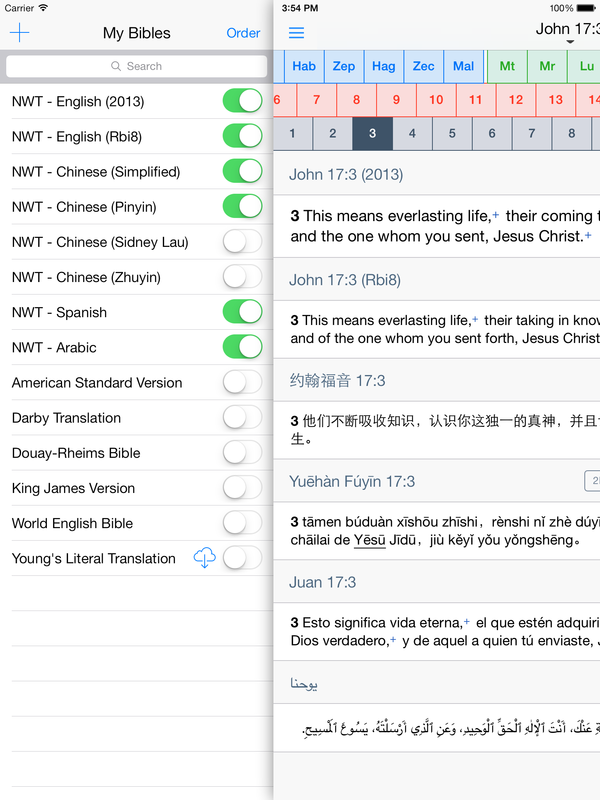 And there are some really exciting changes for those working with the Chinese language. 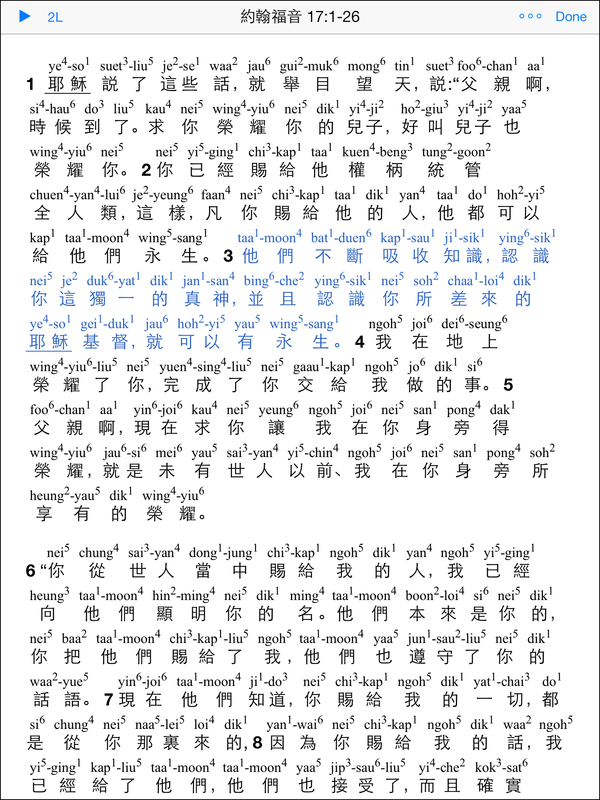 Equipd 3.0 introduces a totally new engine used to generate Pinyin, Zhuyin, and Sidney Lau - in both 2-line and 1-line format - on a word-by-word basis instead of the current character-based conversions. 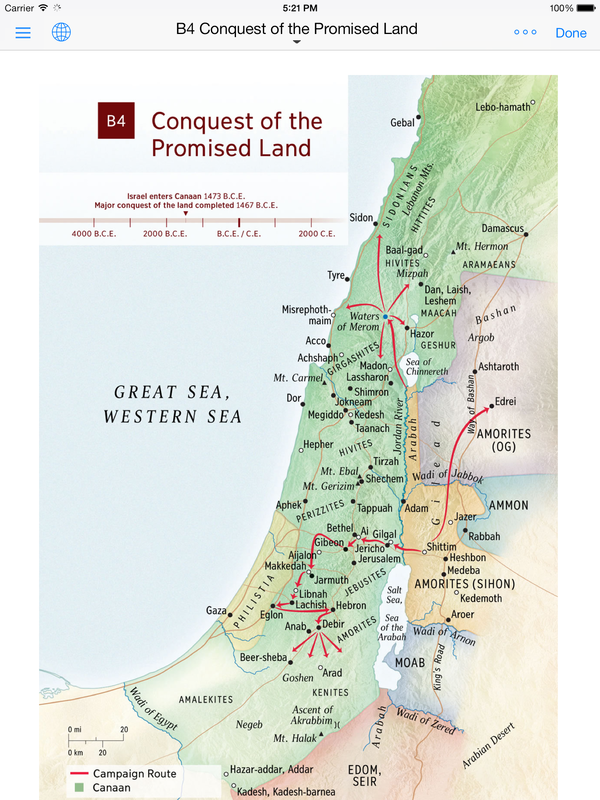 I am also pleased to include the King James Version with Strong's Concordance in Equipd 3.0. Featuring an index of original Hebrew and Greek words used, this has proved to be a valuable tool in the ministry and as a study resource. Equipd 3.0 is also the first version of Equipd to be "localised" to different languages. The user interface elements have been translated to Portuguese, Spanish, French, Danish, Japanese, Russian, German and Dutch! I hope that this makes Equipd a lot easier for our international brotherhood to use. If you would like to help with translating Equipd to other languages please check the forums here. More importantly, the changes to the UI structure, and to the code underneath, are paving the way to even more exciting features to be introduced in future updates. Let's start with the overall design of Equipd 3.0, and then look at the changes in each major module of Equipd. What can I say? There are some similarities, but overall the UI has changed a lot. The colour scheme adopts a lot of the principles from iOS 7. Get the hierarchical elements - the buttons, tabs, navigation etc - out of the way, and allow the user to focus on the content. The challenge with this is trying to keep the UI appealing, rather than all white and "stark". I am hoping that you will like the new Equipd theme as much as I do. 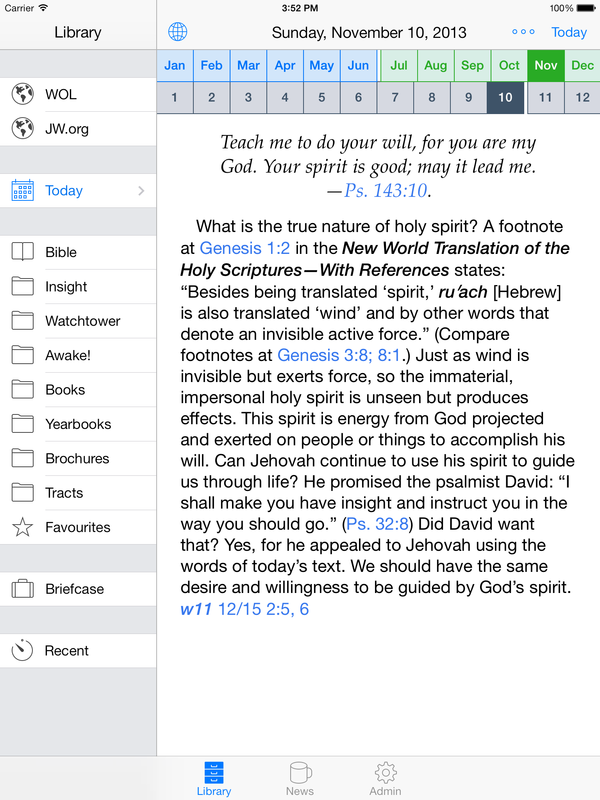 Equipd 3.0 introduces sliding panels from the left and right sides, and the ability to read the Bible full-screen, and to read Publications full-screen - and to quickly switch between them by tapping with two fingers. The workflow is quite different - and once you are used to it, I think you will like it a lot. 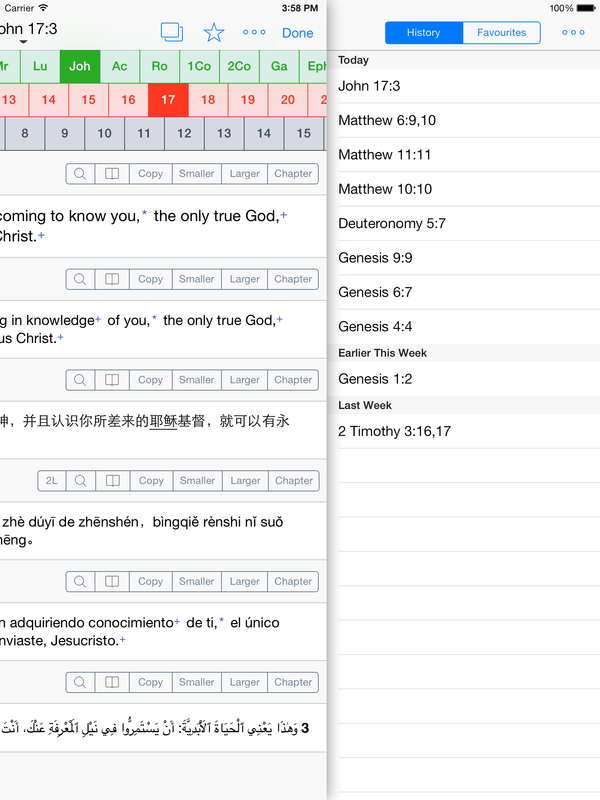 Note in these next two screens how you can slide your finger in from the left and show the Bibles - from here you can add new Bible translations and languages to your list, and toggle them on/off or re-order them. On the other side if you swipe your finger in from the right of the screen, you will see your scripture History, and your Favourite scriptures. 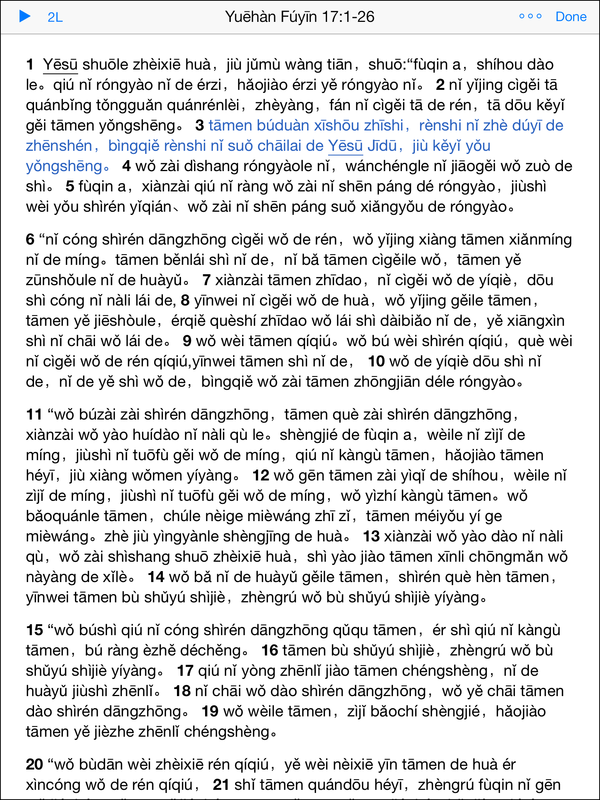 When you are reading the article you can obviously click on a scripture to view it, but ... you can also tap with two fingers and toggle between the full-screen Bible window, and tap with two fingers again to switch back to the publication window. Easy! So that's a quick look at some of the key screens and hopefully it gives you an idea of the workflow in Equipd 3.0. 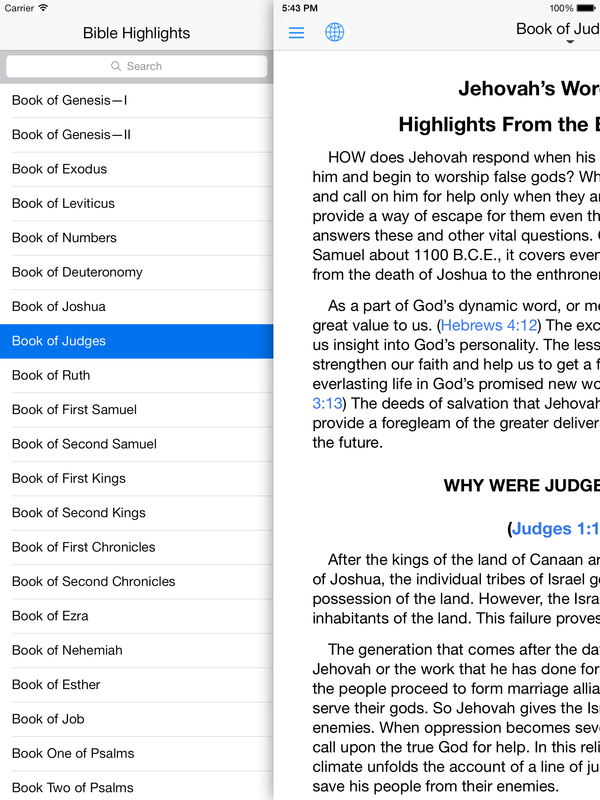 The Bible Book Outline's from the 2013 Edition are integrated with the Book buttons in the Navigation Scroller. 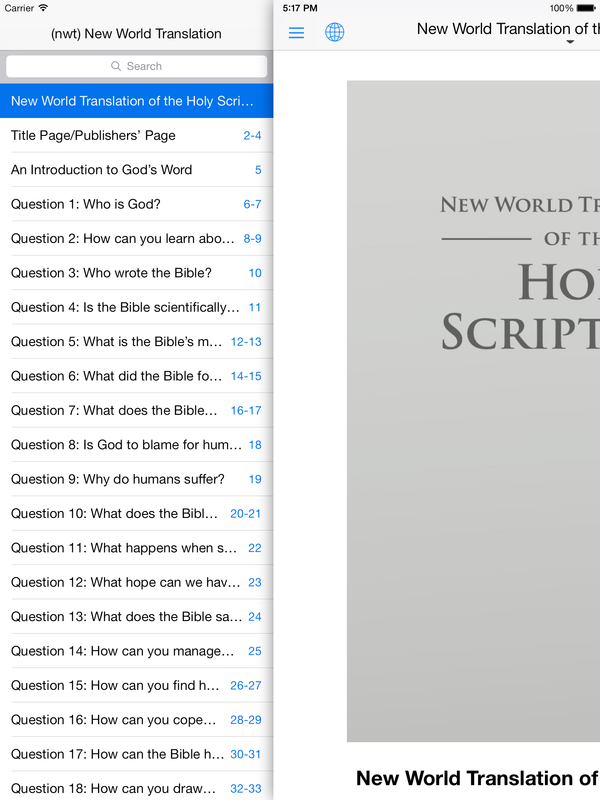 The first tap on the Book name of course will select the book so that you can locate a scripture - but a second tap will open the Outline for that Book in a new window. The Library Publications are now more complete than ever, caching and mirroring the content from WOL. Easily cache entire publications, including images (if available on WOL), by tapping the download button. Now includes the Watchtower and Awake! magazines. Please note that not all languages will include the magazines - I am adding support for more languages as I go. More on this later. 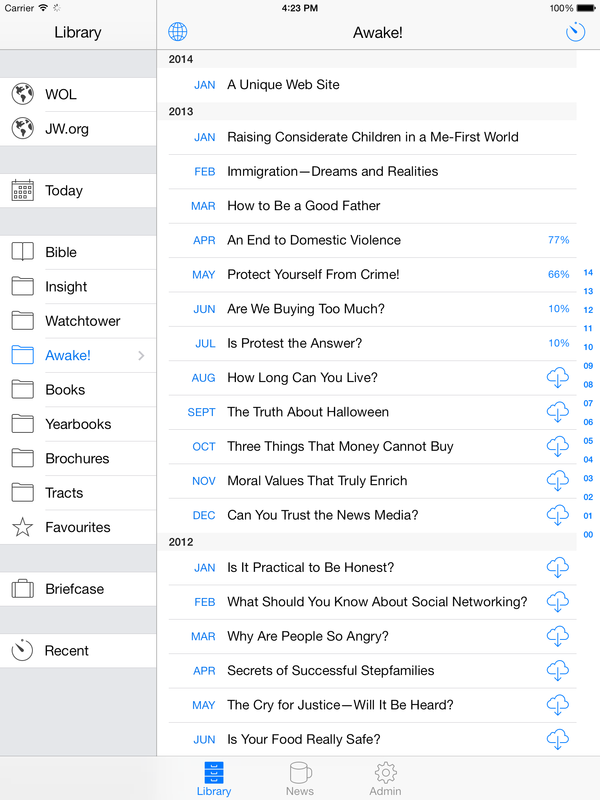 The Insight Volumes are now broken down by letter, which makes it much quicker to load the topics. A quick search will help you find the topic you want even faster. Publications can now be opened full-screen, as pictured in several screenshots above. 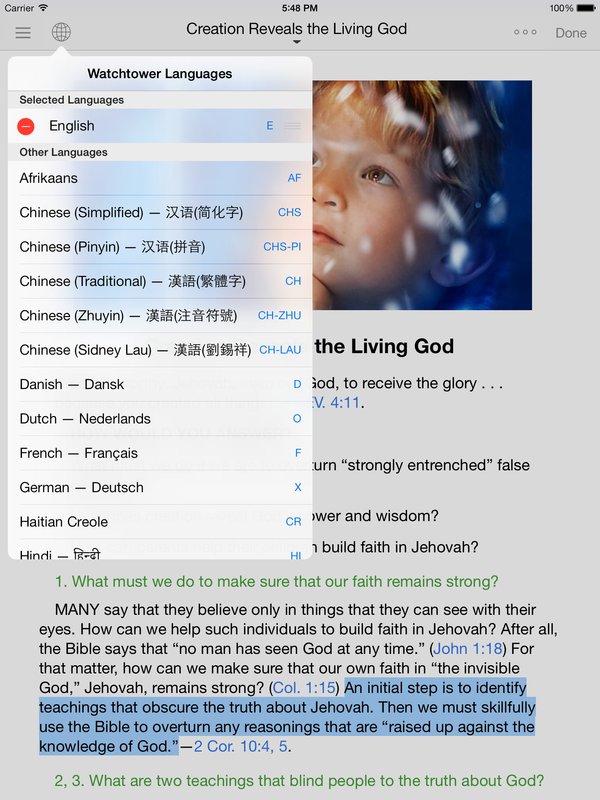 Easily switch chapters, go back to previously opened articles, or tap with two fingers to switch to the Bible window and back. Save Publications you use frequently as Favourites. 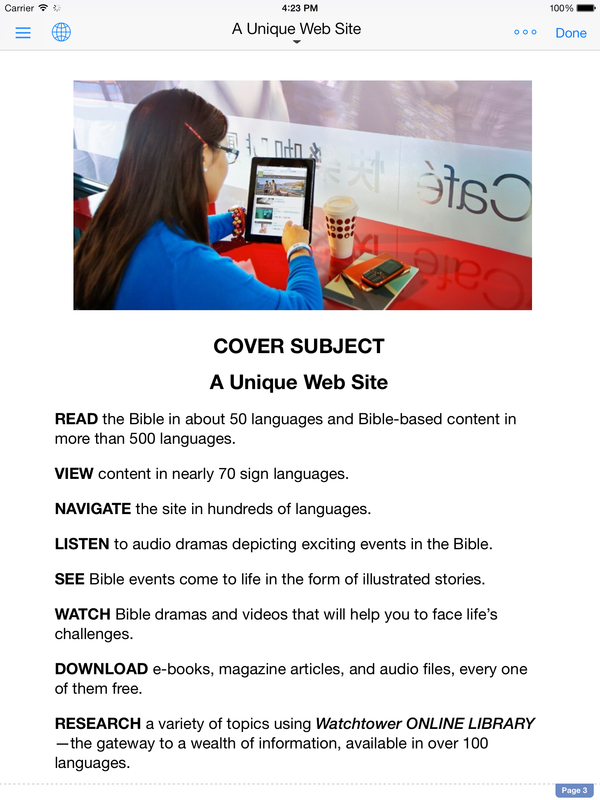 This makes it so much quicker to get access to such publications as Sing Praises, Bible Teach, Draw Close to Jehovah, Ministry School book, and the current Watchtower that we access on a daily/weekly basis. If you are only browsing publications in one language (eg English only), then swiping left/right will move to the next/previous chapters in the publication. But if you are using multiple languages, then swiping left/right will switch the language of the current article you are considering. This module has not changed a lot - but expect a lot more focus around this in future updates. The main improvements come from the general changes in Equipd 3.0 such as the full-screen window. Also ... you can now easily save any already cached article from any publication straight into your Briefcase, without having to open WOL first. 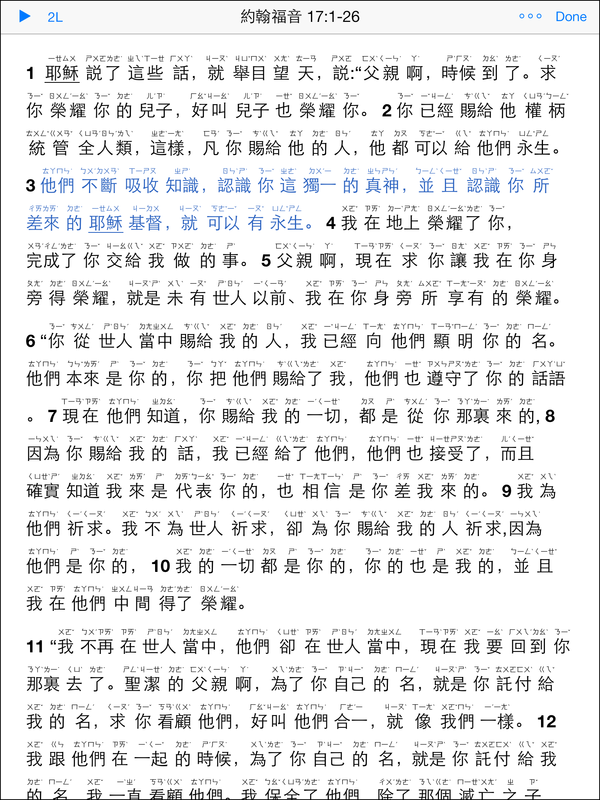 You can select the Pinyin etc in the 2-line version and copy it. 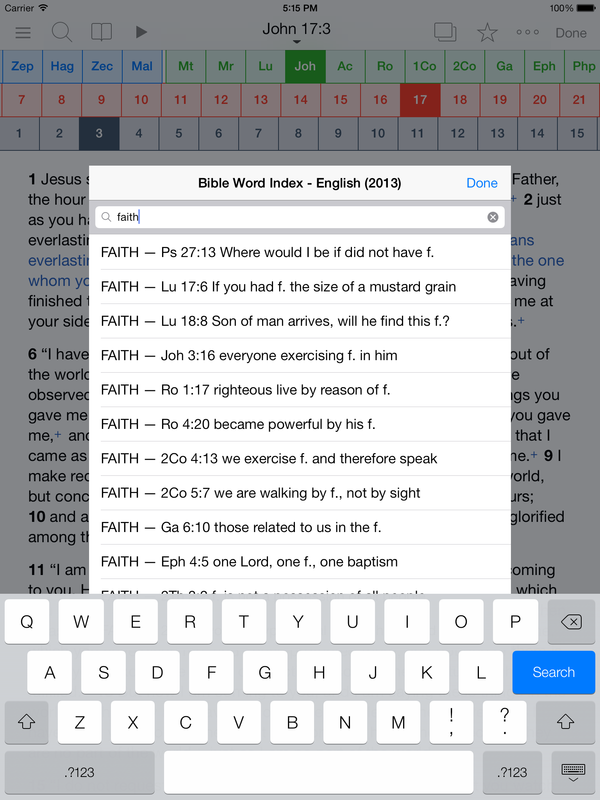 The single-line version is great for copying into your notes, especially from the Bible. 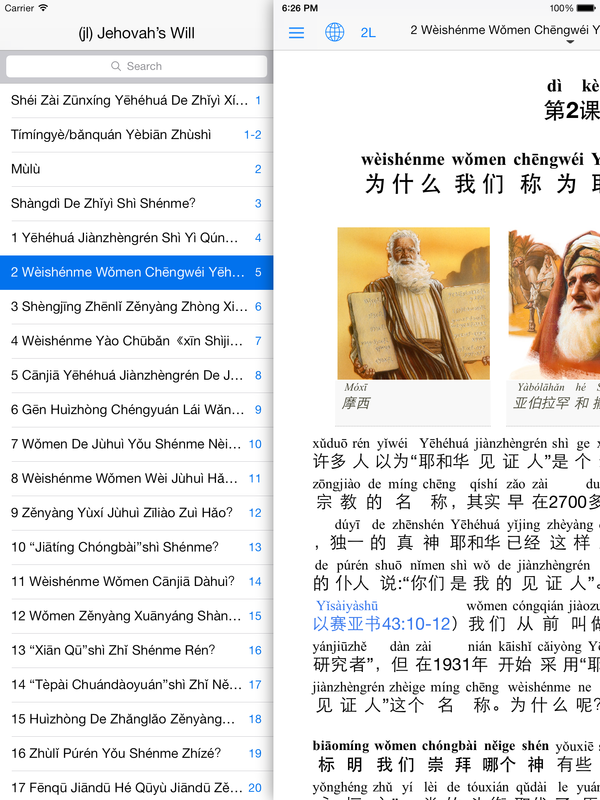 And more than that - the Pinyin is also used to display the publication and chapter names! I would like to express my gratitude to the brothers who have helped translate Equipd. I am sure your efforts will be appreciated by users who speak Portuguese, Spanish, French, Danish, Japanese, Russian, German and Dutch! A big thank you goes to a brother in the Cambridge Mandarin group, who wishes to remain unnamed. 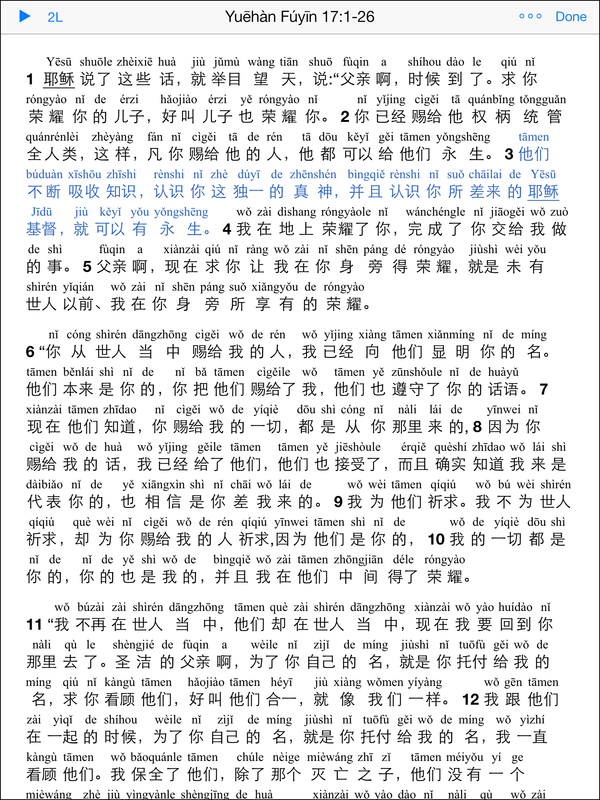 His efforts made the improved Chinese character translation engine possible. And thanks to my beta testers who helped ensure that users receive a polished end product. As mentioned, this Equipd 3.0 is a major update. What you see on the surface is just a reflection of a lot of hard work done under the hoods. The new Equipd has a far more robust and flexible code-base, and will provide an firm platform to build on. I hope that this new version will benefit existing users, and allow them to be even more Equip'd for every good work. It has been a privilege working on a tool that is being appreciated and depended on by so many around the world, especially those serving in the foreign language field. A big thank you once again for your patience in waiting for this update.